I recently had to analyze a Nokia Lumia 800 (RM-801) which is a smartphone running Windows Phone v7.8. Unfortunately for me, at the time of this writing Cellebrite UFED 4PC is unable to extract a physical image from this phone model. After some research on the internet, I found out that there's a flasher box which is able to root specifically two Lumia phones: Lumia 800 and Lumia 800C. 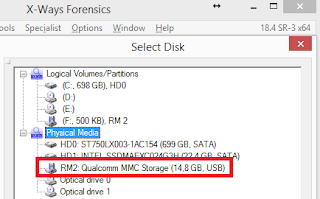 After rooting, according to some posts I read in the forum GSM-Forum, the phone should be recognized as a mass storage device (or something like that). I arranged a physical machine with Microsoft Windows XP SP3. In my experience, some flasher boxes are not that stable on newer operating systems. Cyclone Key Reloaded is one of them. After installing its drivers and software, plug in the flasher box to your computer. 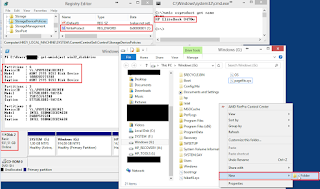 From the main interface of the program Cyclone Box Module Loader: click on the Nokia Tool button | go to the Connection tab | set the connection to USB. Connect the phone to your computer (not to your flasher box) by using a standard micro USB 2.0 cable. Wait for Windows to recognize the phone. This is an example log that will appear during the rooting on the right side of the program window. 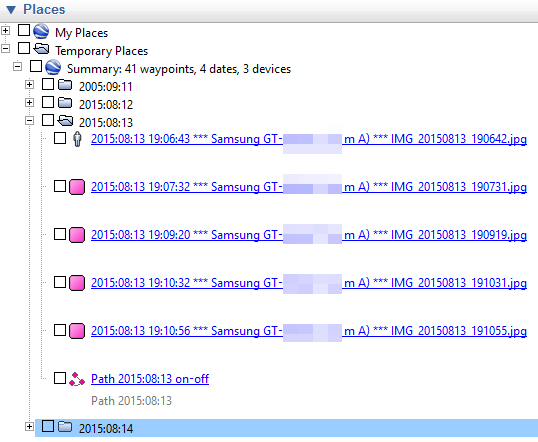 [Nokia USB Connectivity]: WinUSB Port opened OK! If phone is alive, It will be automatically swithced to OSBL mode. 4. Insert USB Cable. OSBL should be booted. I unplugged the phone and turned it back on. I didn't notice any data loss. All my data was still there. Go to your forensic acquisition computer. Please, don't format the device! Now, you're ready to physically image your Nokia Lumia 800 phone. I'll write about parsing in the next blog post. Sometimes it's not the photo itself that matters, but where the photo was taken. 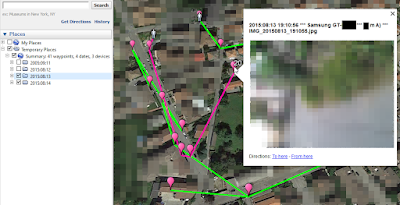 I needed a tool to parse thousands of geotagged pictures and show them on Google Earth. I wrote a Python script based in part on what was posted years ago in the ExifTool Forum. Run the script and type the absolute path of the directory containing your pictures. 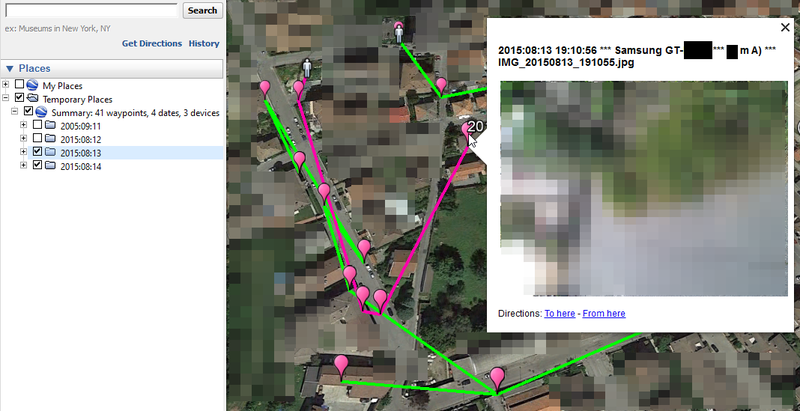 The script will create and save in this path a file named "GoogleEarth.kml". Here are a couple of screenshots. Microsoft added native support for UAS to Windows 8. 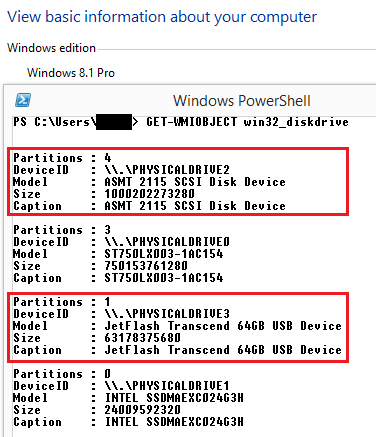 Drives supporting UAS load Uaspstor.sys instead of the older Usbstor.sys. Windows 8 supports UAS by default over USB 2.0 as well. That explains why my UASP device works in "UASP" mode even if I plug it in on a USB 2.0 port. I then thought: what if I replace uaspstor.sys with usbstor.sys? 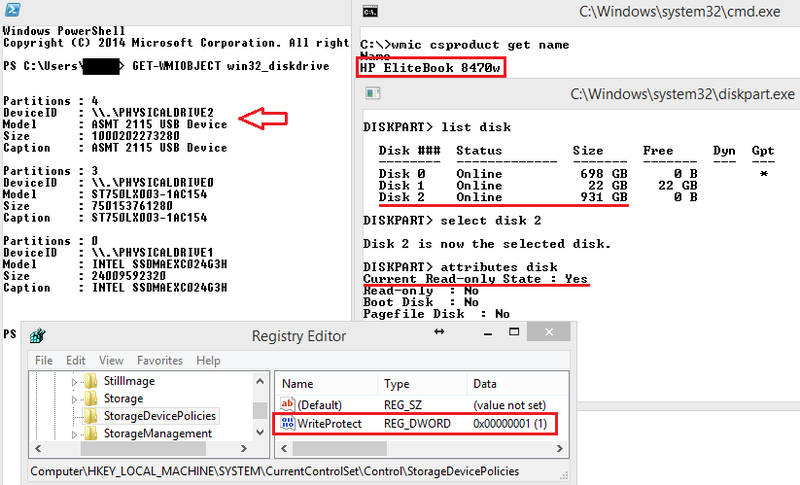 Set "WriteProtect" to "1" in the registry, plug in your UASP device and finally enjoy it in read-only mode! Since I applied the workaround, I haven't had any BSOD or software issue. So far it appears to be a stable workaround. Your feedback is appreciated, thanks. 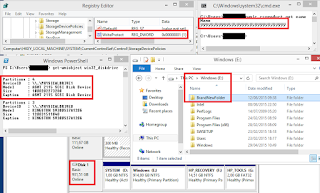 On Microsoft Windows operating systems it's possible to use the Windows registry to disable write access on USB ports. That has been for a long time a convenient and safe way to make USB ports read only. Until UASP came out. 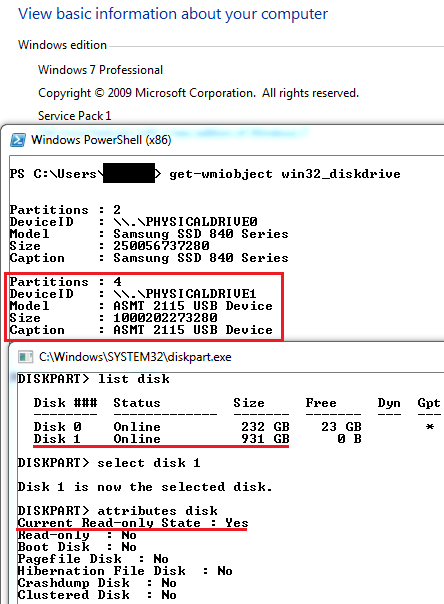 Windows 8 includes a new USB storage driver that implements the USB Attached SCSI Protocol (UASP). The new driver uses static streams for bulk endpoints, as per the official USB 3.0 specification. After turning ON the USB write protection with the Windows registry, I plugged in the two USB 3.0 devices directly into my laptop. 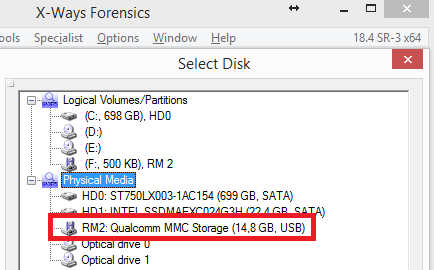 The tool USB Device Viewer shows that the flash drive has been recognized as a "USB Mass Storage device", while the other one as a "USB Attached SCSI mass storage device". The thumb drive is shown as a "USB device", on the other hand the SATA drive (externally connected via USB) is shown as a "SCSI disk device". My notebook has USB 3.0 and USB 2.0 ports, but it doesn't make a difference where I plug in the drive. The adapter makes the SATA drive appear as a SCSI device. I then checked the read-only state of the two devices by using Diskpart. 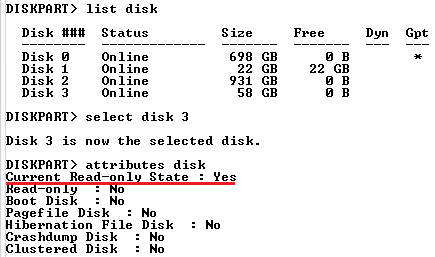 The thumb drive (Disk 3 - \\.\PhysicalDrive3) is in read-only mode as expected. The external SATA drive (Disk 2 - \\.\.PhysicalDrive2) is NOT in read only mode. I successfully created a new folder named "BrandNewFolder". And I created a new txt file named "BrandNewFile.txt" inside this folder. I then unplugged the drive and I plugged it in on a second computer (Intel NUC DN2820FYKH with Windows 8.1). The newly created folder was still there. Unfortunately that means I modified my "evidence" drive. I repeated the same test on the second computer and I had the same results. 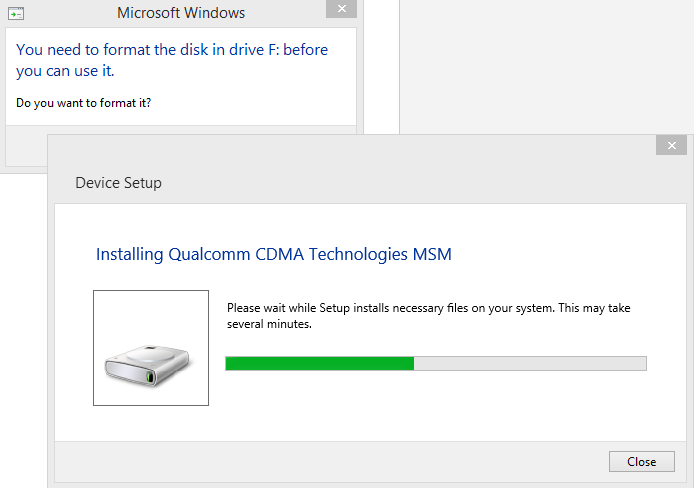 I made a last test: I went back to my laptop and installed Windows 7 Pro (on a different internal drive). Windows 7 has no native support for UASP. 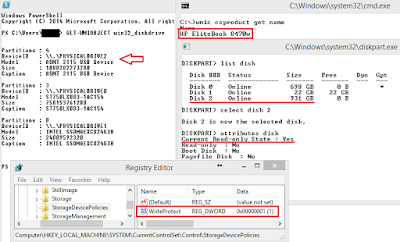 I repeated all the steps written above and this time the 1 TB drive with the mentioned adapter was recognized as a simple USB device in read only mode. The registry key doesn't work on Win8/8.1 with UASP devices. At the moment I haven't found a way to disable UASP. 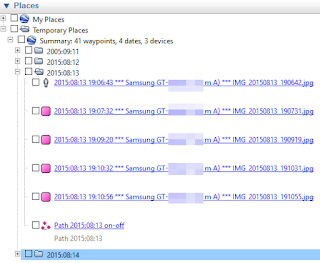 I googled a bit and have found out there are already around some thumb drives which use UASP. For the time being, stay safe on Windows 7 or choose a hardware write-blocker. This is a personal blog. The views expressed in this blog are those of the author. I'm not responsible for any errors or omissions. Use any information at your own risk. Just because this is a freely available blog, doesn't mean you can grab content and take credit for someone else's work. Forense nella Nebbia by Gabriele Zambelli is licensed under a Creative Commons Attribution-ShareAlike 4.0 International License.